Built by T.C. Lewis in 1894, the splendid organ was the gift of Mr. Abel Buckley and cost two thousand guineas. It was rebuilt in 1953 when the organist Dr. Norman Andrew and the choir raised a considerable amount towards the cost of £4050, which paid for a new electro-pneumatic console was fitted and for all of the pipes to be removed for cleaning and revoicing, the whole of the 600 reed pipes being sent to the works of Rushworth & Dreaper in Liverpool for this.The main item was the provision of a new console and the addition of new stops by the re-grouping of pipes. 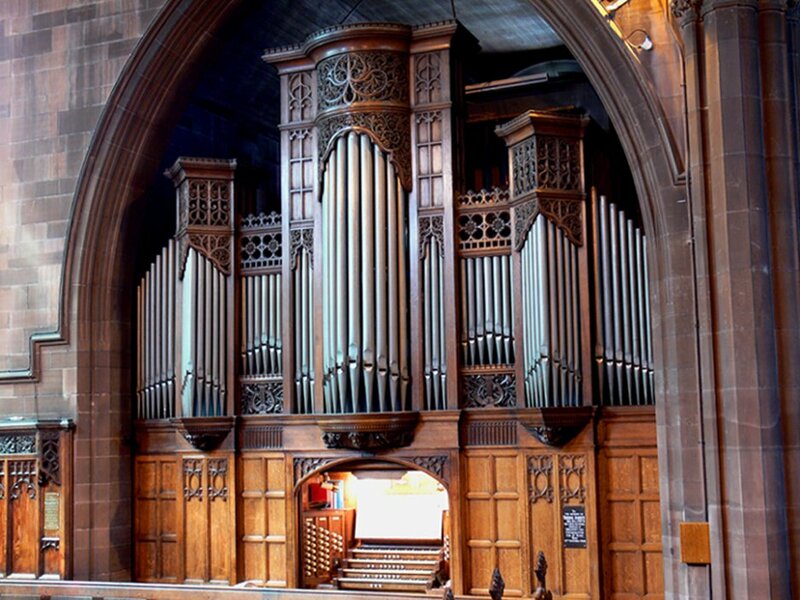 There are now 47 speaking stops spread over the four manuals and pedal board, 2200 pipes that range from a few inches to 16 feet in length, 853 magnets, 3000 electrical contacts and 4 miles of wiring, making it a comparable instrument to the one standing in Manchester's Bridgewater Hall. No alterations were made to the Lewis's tonal scheme. To help maintain this LEWIS ORGAN donate by visiting the "Donations" page and selecting the organ fund when making your pledge.